Elegant new construction in prestigious Falmouth Foreside neighborhood. Set on a waterfront lot, the shingle style home designed by Joe Waltman and built by M.R. Brewer boasts the best in materials and design. This home features a gourmet kitchen, formal dining, first floor master suite, screened porch overlooking a private pond, & 4 en-suite bedrooms on the 2nd level. 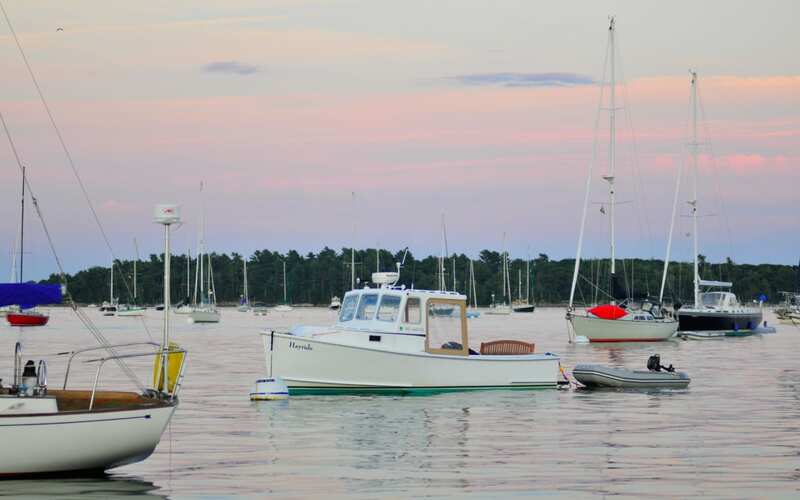 An extraordinary opportunity in one of Maine's most coveted seaside communities. 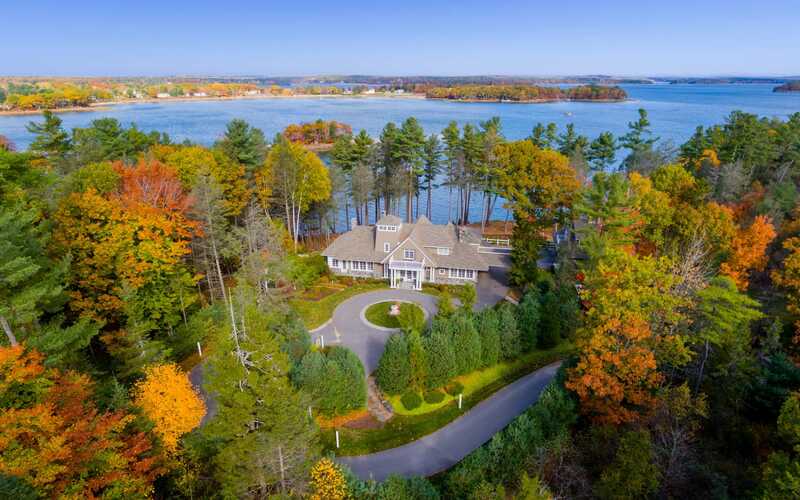 Set above the shores of Casco Bay, this timeless John Calvin Stevens designed home rests on 1.07 acres along Falmouth Foreside. Rich in period detailing, this home features fine wood work with modern amenities such as a gourmet kitchen with soapstone and marble counters, high-end appliances, an expansive island with generous seating and a cozy family room area with built-ins and gas fireplace, all overlooking the patio and Casco Bay. Beautifully refined, the master suite features a stunning master bath with deep soaking tub, walk-in custom tile shower, a walk-in closet, and balcony. Another en-suite bedroom with fireplace and two additional bedrooms complete the second level. The 3rd floor features 2 bedrooms with water views, an open deck overlooking the bay, and a full bath. An indoor pool with cathedral ceiling provides one-of-a-kind appeal. Lush landscaping and a beautiful patio offers exceptional privacy and great spaces to entertain. Under construction on the desirable Falmouth Foreside with water views! The first floor offers a beautiful open floor plan with kitchen, dining area, living room and office space. The second level features three ensuite bedrooms and a family room. The daylight basement could be finished to add an additional 1,000 square feet. Enjoy being in a seaside neighborhood, feet from the Portland Yacht Club and just minutes from Portland. Quintessential seaside cottage with with deeded rights to association deep water dock and sandy beach! A boater's dream, with glimpses of the ocean, a wraparound porch, fir floors, period woodwork, a gas fireplace, and a spacious yard, this Foreside home exudes charm and comfort. The second level boasts four bedrooms while the walk-up, unfinished attic leaves plenty of room for storage or expansion. Enjoy living in this desirable neighborhood close to all the Falmouth Foreside amenities! 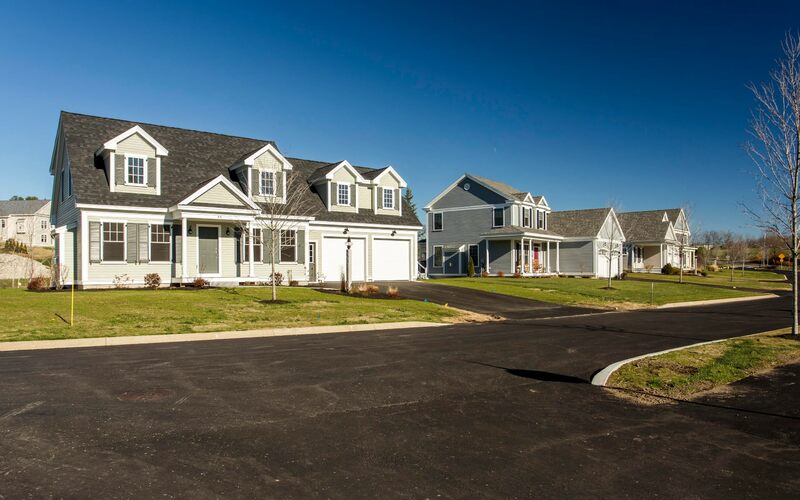 The Preserve at South Ridge is one of West Falmouth's newest neighborhoods with several build packages available. The Newport offers one floor living with open kitchen, living room & dining, 3 bedrooms, 2.5 baths, bonus room above garage, and a day-light, walk- out basement! Build to suit your needs on this tree lined lot in convenient and quiet spot in Falmouth. New Construction on Falmouth Foreside with Water Views! Falmouth is located directly north of Portland, the State's largest city. 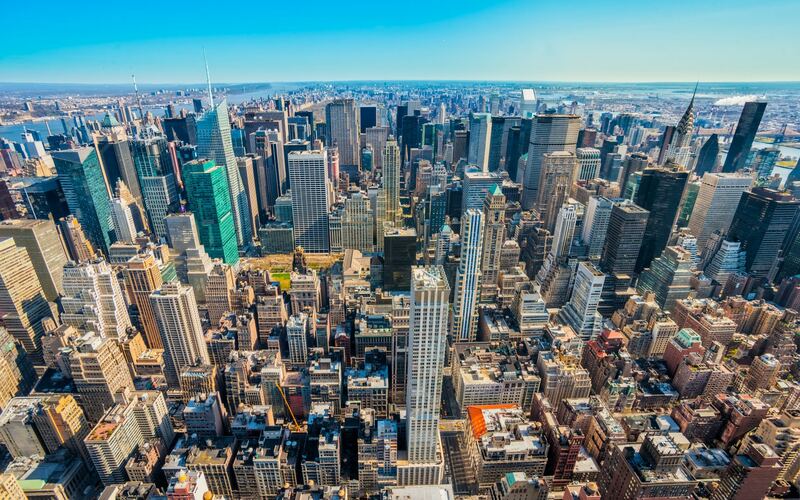 The town is renowned for Falmouth Foreside, a beautiful seaside community with many fine oceanfront homes and the largest anchorage in the State, Town Landing. 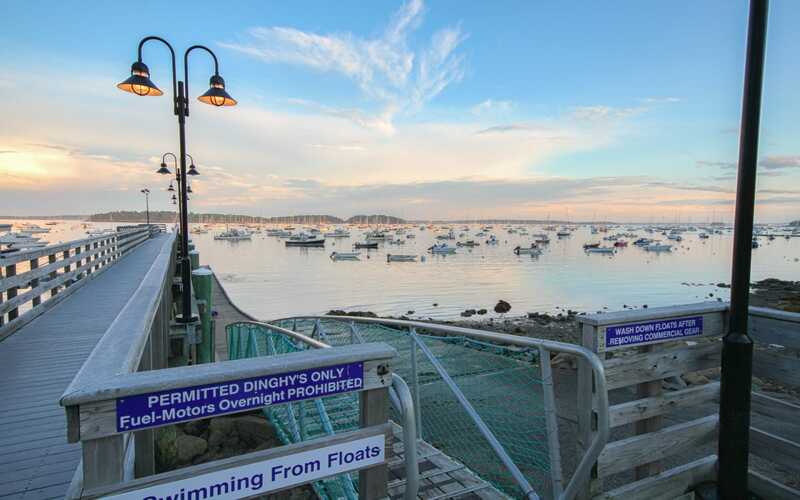 The recreational anchorage has a public pier, boat launch, sandy beach, market, and gorgeous Casco Bay views. Falmouth is acclaimed for three quality private golf and country clubs. The Woodlands Club has a championship golf course that has hosted PGA Senior tour events and also offers year-round tennis programs, swimming and fitness facilities, squash and racquetball courts, and recently renovated lounge and fine dining areas. Portland Country Club, adjacent to Falmouth Foreside, has a venerable 18-hole golf course with beautiful views of Casco Bay. The Club also has tennis courts, swimming pools, and casual and formal dining. PCC is the first private golf club in the State to be recognized as a Certified Audubon Cooperative Sanctuary by Audubon International for its management and preservation of the environment. Falmouth Country Club has a championship 18-hole golf course with practice areas, tennis courts, food options, a fitness center, and outdoor pool. Members also enjoy exclusive access to Popham Beach Club located in midcoast Maine. 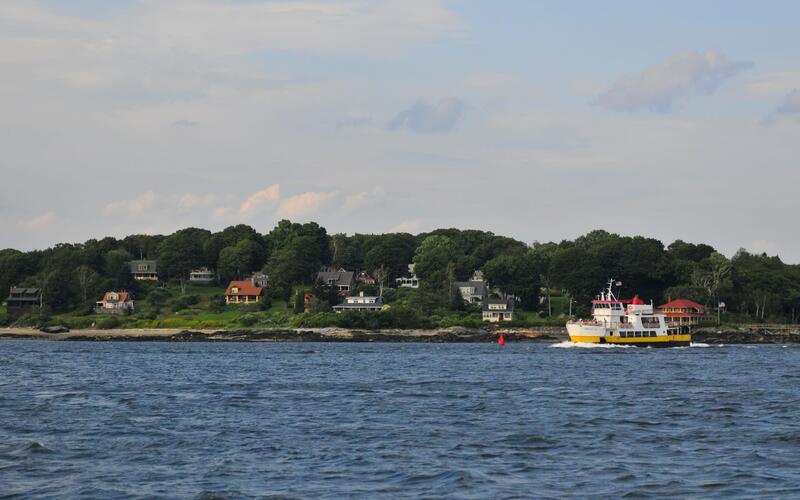 Portland Yacht Club, located on Falmouth Foreside, has picturesque views of Casco Bay and the shipping channel. 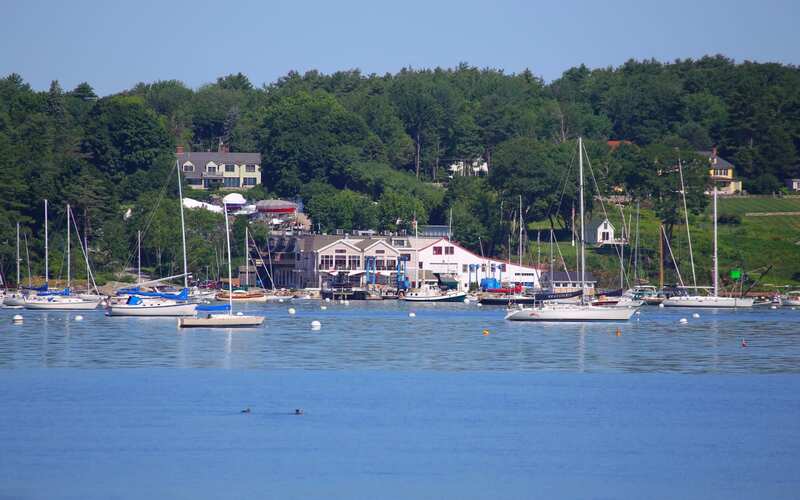 It is home to many seasonal events, such as races, cruises, and the Junior Sailing Program, a nationally-acclaimed training clinic. PYC also boasts the Monhegan Regatta, the oldest and longest offshore regatta in Maine held annually in the summer. In the center of town, there is an excellent retail shopping and dining complex, the Falmouth Shopping Center, offering the finest convenience to residents and visitors. Many rural, recreation areas are available inland and along the coast. Falmouth has one of the finest school systems in the State comprised of Falmouth Elementary School (Grades K-5), Falmouth Middle School (Grades 6-8), and Falmouth High School (Grades 9-12). FHS is consistently a top-ranked school in the State with students' strong standardized test scores and college matriculation. FMS and FHS offer a range of competitive athletic teams and performing arts programs that receive recognition, including Regional and State Championships.